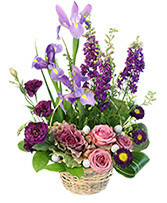 Centerpiece with its bold coloring and enchanting look. 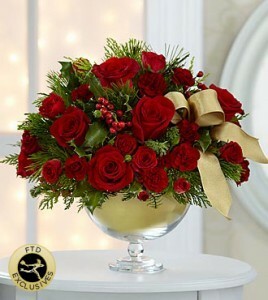 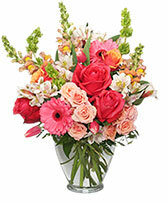 Rich red roses, mini carnations and spray roses are accented with an assortment of lush greenery flower arrangement. 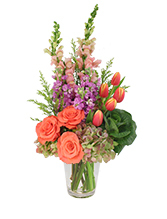 Presented in a designer clear glass pedestal vase, this flower bouquet will delight family and loved ones with its impressive styling.